Offer condition: Excludes Baby milk, Regaine, Slimfast, Nicorette and fragrance. Minimum spend £100. One use only, UK only. Offer condition: Excludes Baby milk, Regaine, Slimfast, Nicorette and fragrance. Minimum spend £50. One use only, UK only. Offer condition: Excludes delivery. Excludes Baby milk, Regaine, Slimfast, Nicorette and fragrance. One use only, UK only. Do not miss another Chemist Direct voucher! 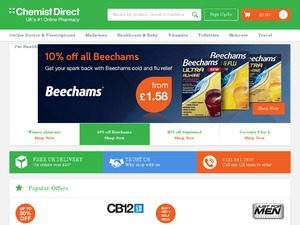 Simply leave your e-mail address and we'll always keep you informed of new vouchers for Chemist Direct. Offer condition: Excludes Baby milk, Regaine, Slimfast, Nicorette, 3 for 2 vitamins and fragrance. One use only, UK only. 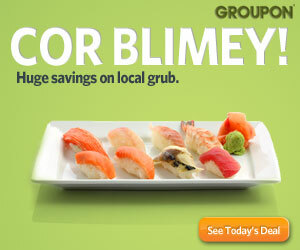 £5 discount on Kijimea 28 Capsules. Offer condition: Excludes Baby milk, Regaine, Slimfast, Nicorette and fragrance. One use only, UK only. 10% discount on all orders flash sale! 10% discount on orders over £25. Offer condition: Terms: Excludes Baby milk, Regaine, Slimfast, Nicorette and fragrance. Minimum spend £25. One use only, UK only. 10% discount on with £50 minimum spend. Offer condition: Exclusions apply on Slimfast, Baby Milk & Regaine. Latest voucher code valid at a time of promo publication was entered to be working from 2019-04-05.